Located in the New Hanover county of North Carolina, Wrightsville Beach is a small town with around 2,500 inhabitants. In spite of its size, Wrightsville Beach has many incredible things to offer to whoever decides to visit. Let us show you what you’re missing by not traveling to this beautiful corner of the US. You must sail along the Intracoastal Waterway and go on eco-tours, sunset cruises and even on the so called pirate adventures. You could also book a deep-sea fishing trip if that’s what makes you happy. In April, there is the Masonboro Inlet Sportfishing Tournament and in May they organize the Cape Fear Blue Marlin Tournament, both occasions being perfect for amateur and professional fishermen to show off their baits and skills. You could start with a self guided walking tour of this small town to find out more about its historical landmarks (for example, the old Oceanic Hotel). Thanks to the Wrightsville Beach Museum of History, you will learn about Johnnie Mercer (an American lyricist, songwriter, and singer) when walking by its Pier. Just go by the museum to pick up a tour pamphlet with instructions and descriptions of the featured places. Golf lovers will have a peaceful time at the Wilmington Municipal Golf Course. If you are looking for something special, why don’t you go to the mailbox on the beach? Nobody comes to pick up the letters nor to deliver anything here. This is an actual mailbox where you find the thoughts of strangers written on a simple piece of paper. In that mailbox you will find the letters that people wrote but never sent. Maybe you will write one yourself and leave it in the box for someone else to find. And the most exciting outdoor activities are left for last: watersports. Wrightsville Beach offers a lot of opportunities for watersports lovers. There is a wide range of activities to choose from: kayaking, kite boarding, stand-up paddling, surfing and scuba diving. Tournaments are organized fairly often throughout the year. For example, visit the town in April to catch the Carolina Cup or in May for the Annual Longboard Classic. In August there is the Wrightsville Beach Wahine Classic and in November the town holds the NC Surf to Sound Challenge. Wrightsville is family friendly because it organizes plenty of summer camps for children and teens. There actually are surf camps for adults too (i.e. Sean’s Private Surf Instruction). If you want to learn how to surf, this is the right place. Wrightsville Beach sounds like a great place so far, but how are you going to pay for all these? Traveling with your family puts a lot of strain on your budget. What will you say when you kid wants to learn how to surf? Can you look him in the eye and tell him there’s not enough money for that? If you want to say “yes, you’ll take surf lessons,” you should consider playing the lottery until you win. 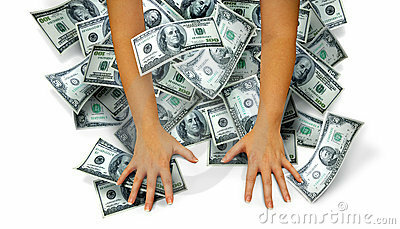 Purchase Mega Millions ticket and maybe you will be the next lucky winner of millions of euros. Your child will thank you for those surf lessons.